I got the chance to meet two of KISS’ original frontmen, Paul Stanley and Gene Simmons. The guys were in town to open another of their Rock and Brews restaurants. If Hard Rock Café, Planet Hollywood, Viper Room and Bennigan’s had a baby … it would be similar to Rock and Brews. Both rockers were dressed in black (natch! ), way taller than I anticipated (6’2”+) and had an odd array of perfectly coifed, somewhat synthetic hair. And both of ‘em were remarkably well preserved – looking fairly polished and alert. I watched both of them glide around the room. They’d glad hand, hobnob, mingle and kibitz with great ease. 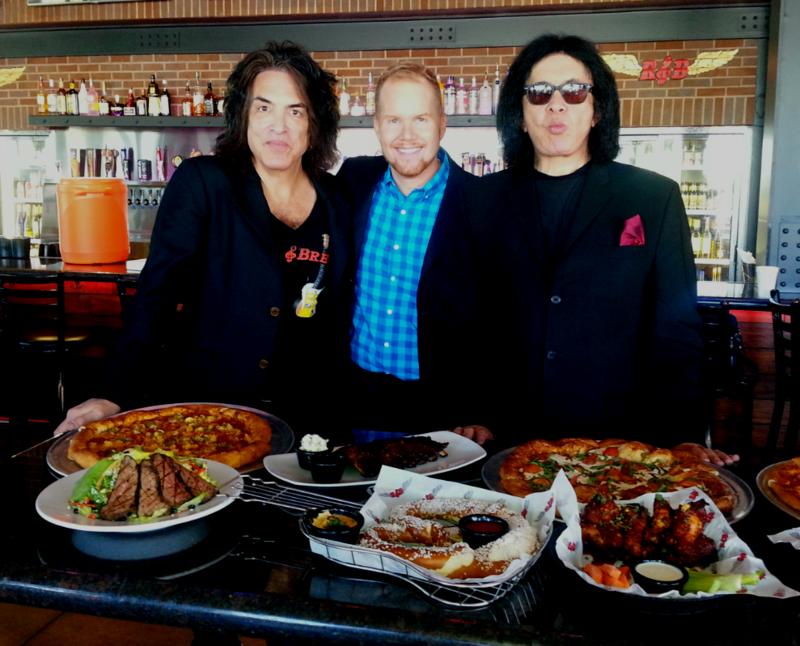 For the hour I was there, I was watched Paul Stanley graze on about ten different dishes. How the man stays so thin is beyond me. Simmons had a more looming presence. He’d stand around off to the side with his arms folded – like a bouncer or a menacing statue outside a Pharoh’s tomb. His attachment to his sunglasses and lack of expression made him hard to read. Although from I what I saw, he is rather fond of the elusive duck face.